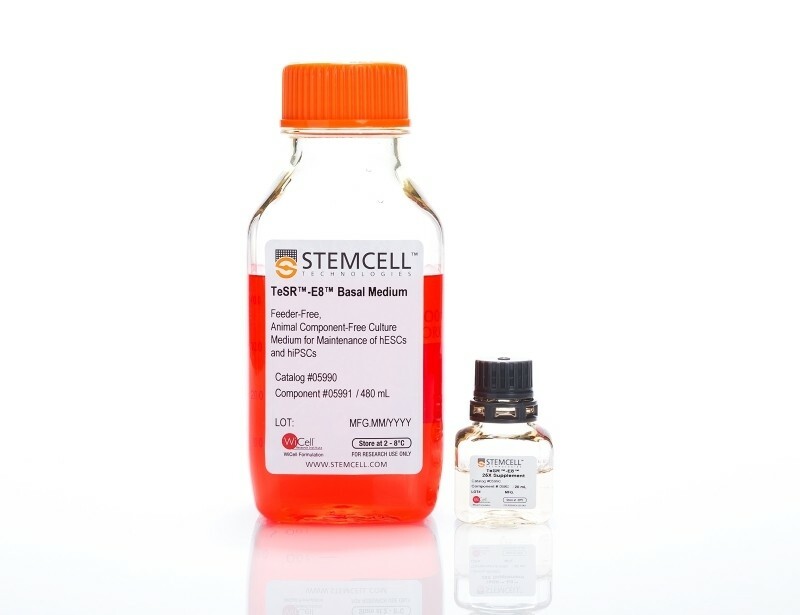 TeSR™-E8™ is a feeder-free, animal component-free culture medium for human embryonic stem (ES) cells and human induced pluripotent stem (iPS) cells. 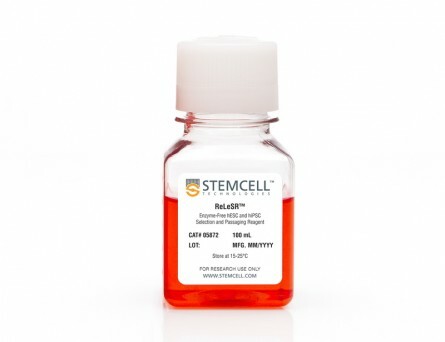 It is based on the E8 formulation developed by the laboratory of Dr. James Thomson (University of Wisconsin-Madison), the lead research group behind the design of mTeSR™1, the most widely published feeder-free culture medium for pluripotent stem cells. 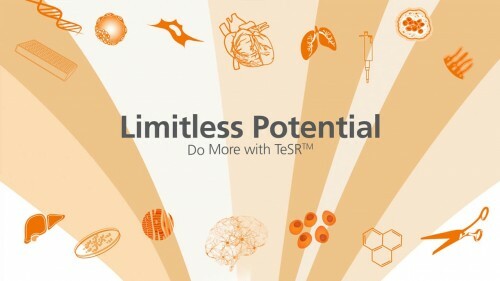 Like mTeSR™1, TeSR™-E8™ medium is made with the highest level of quality and care. 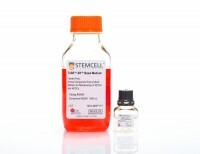 It contains only the essential components required for maintenance of ES and iPS cells, providing a simpler medium for the culture of pluripotent stem cells. 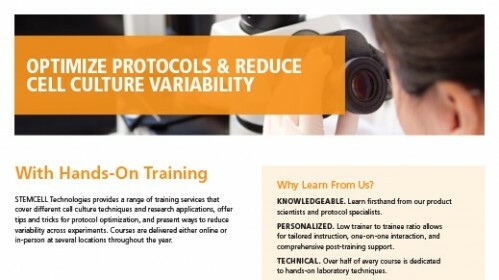 TeSR™-E8™ can be used with Corning® Matrigel® hESC-qualified matrix, or, for a completely defined xeno-free system, Vitronectin XF™. Generation of non-transgenic iPS cells from human cord blood CD34+ cells under animal component-free conditions. 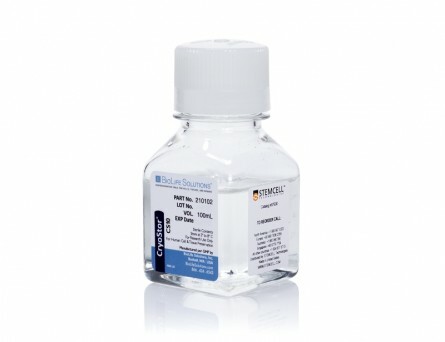 Recently, many hurdles and limitations for production of clinically applicable iPSC derivatives have been overcome. 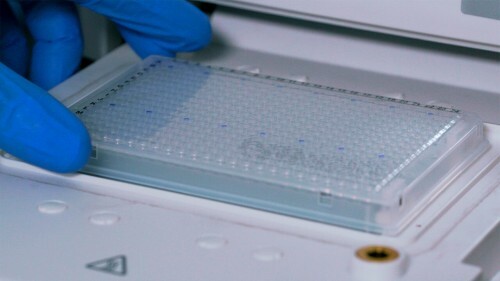 Transgene-free iPSCs can be efficiently derived from easily accessible cell sources such as blood. 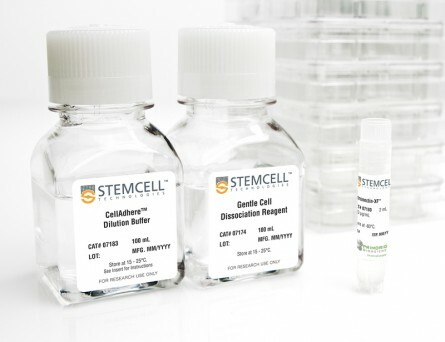 Here we describe the generation of transgene-free hiPS cells from cord blood derived CD34+ cells, reprogrammed using CytoTune™ Sendai reprogramming vectors. 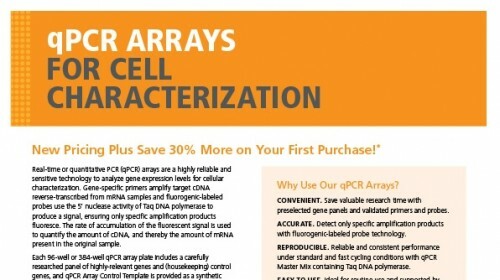 CD34+ cell isolation, cultivation, reprogramming and establishment of resulting hiPSC lines were performed under the exclusive usage of animal-derived component-free (ADCF) materials and components.